When I was a little girl the shadows that danced on my wall at night seemed larger than life. I knew that the shadows couldn’t hurt me, but that didn’t stop me from crying out for my mother when they shifted on the wall. She would come into my room and reassure me that they were simply spots of darkness, but to me they were always moving around and they couldn’t be trusted. The only thing that could make me feel better was to turn the lights on and wouldn’t you know it, the shadows would immediately disappear with the presence of LIGHT. Every good and perfect gift is from above, coming down from the Father of Lights, who does not change like the shifting shadows. Wow! What a Father we have! He gives us good and perfect gifts. Gifts of strength and salvation. But not only that, He also gives us the gift of security. He knows that this world can be dark and scary, with shadows shifting before our very eyes. 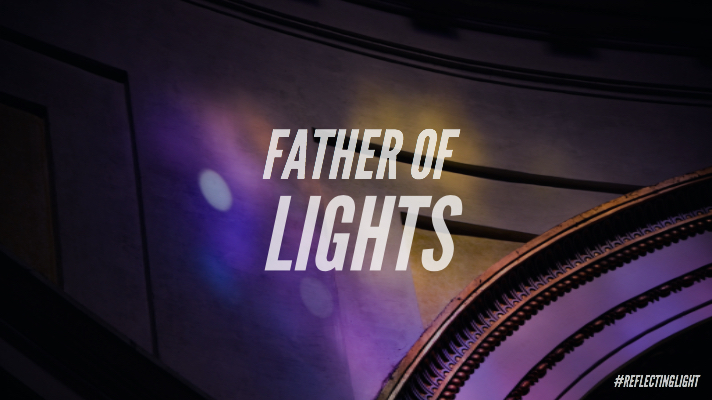 But we don’t have to be afraid, because our Father is a father of Lights! And His presence immediately dispels the darkness. How wonderful it is to know that He doesn’t change. He could never be a shadow dancing on the wall that can’t be trusted. Because He is truth and He is LIGHT!